Budget – The vote in Romania’s Parliament on the draft budget law and the draft national insurance budget law for 2019 was scheduled for Friday, February 15, the Romanian Parliament’s Permanent Bureaus decided on Saturday. MPs are expected to submit amendments until Monday and debates on the budget bill in the Parliament plenum will start on Wednesday. The draft budget for 2019 was approved Friday by the governing coalition made up of the Social Democratic Party and the Alliance of Liberals and Democrats. Under the draft budget, more funds were allotted for healthcare education and investments. The budget is based on a 5.5% economic growth rate, a budget deficit of 2.5% and a GDP of more than 200 billion Euros.  The bill also provides for the allocation of 2% of the GDP for defense, according to Romania’s commitments to NATO. Money was also provided for the increase by 15% of pensions starting in September this year. The opposition leveled criticism against the delayed approval of the budget bill as well as against its provisions which they deem unrealistic. EU – The Romanian presidency of the Council of the EU announced it received a mandate from the ambassadors of the member states to start negotiations with the European Parliament on the revision of the Directive on natural gas. Considered one of the most sensitive and important legislative files on the European agenda, the modification of the Directive is based on the compromise reached by France and Germany with regard to regulations on gas conveyance which mainly targets the North Stream II gas pipeline project. The pipeline to link Russia and Germany is currently under construction and is aimed at transporting Russian gas to central European countries, bypassing Ukraine. Berlin – The Romanian film ‘Monsters’ directed by Marius Olteanu is being screened today, for the first time, at the 69th edition of the Berlin International Film Festival. The film, the only Romanian feature film selected at this edition of the Berlin festival will compete with another 16 movies. ‘Monsters’ tells the story of one day in the life of a young married couple who, together, seem to be loved by the family, the society and friends but who are also judged and rejected when they are on their own because of their needs, convictions and choices. Last year the film Touch Me Not, the debut feature film of Adina Pintilie received the Golden Bear award in Berlin. Rugby – Romania’s national rugby team is today playing on home ground, in Cluj, in the northwest, against Georgia its debut match of the 2019 Rugby Europe Championship. This is the 2nd most important competition after the famous Six Nations Championship. Romania’s team will next play in Botosani, in the northeast, on February 16 against Germany. On March 3 Madrid will play host to the match pitting Romania against Spain and on March 9 Botosani will venue the match between Romania and Russia. The Romanian team’s last match will be in Brussels, against Belgium, on March 17. Romania will miss, for the first time in the past 30 years, from the World Cup final tournament scheduled this year in Japan, after the International Federation sanctioned Romania for having used, in the previous edition of the championship, a recently naturalized player from Tonga after he had already played for his country.